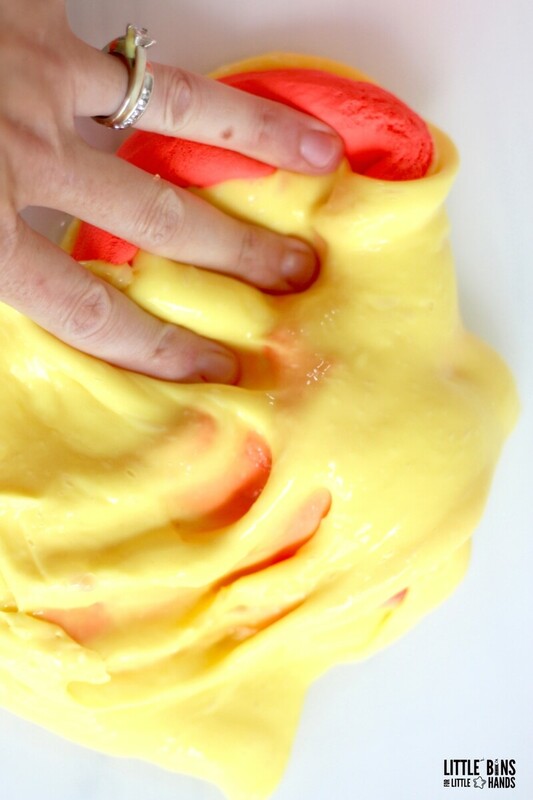 There are just so many unique slime recipes out there to try and a hot one right now is a soft clay slime recipe also known as butter slime! All of our homemade slimes work our 4 basic slime recipes. Once you have mastered those, the unique slimes like our clay slime are a cinch to make. 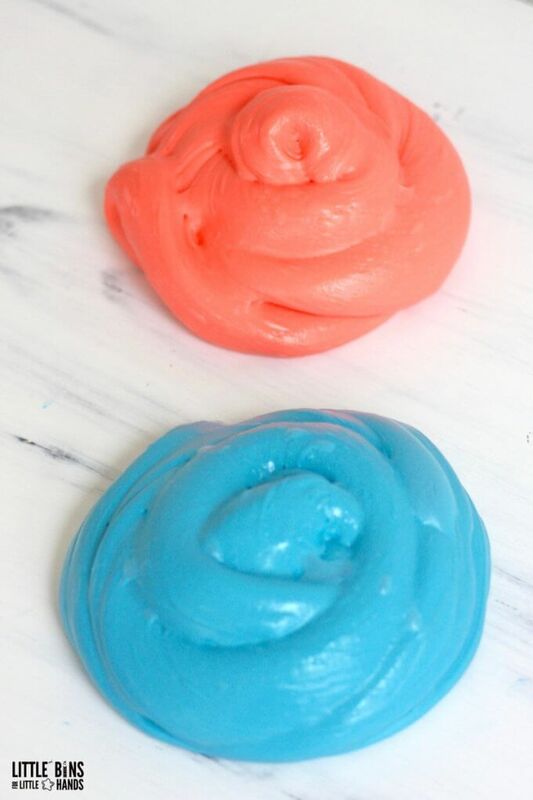 The kids will love this slime recipe! SOFT CLAY SLIME RECIPE THAT’S SMOOTH AS BUTTER! What’s so special about soft clay slime? 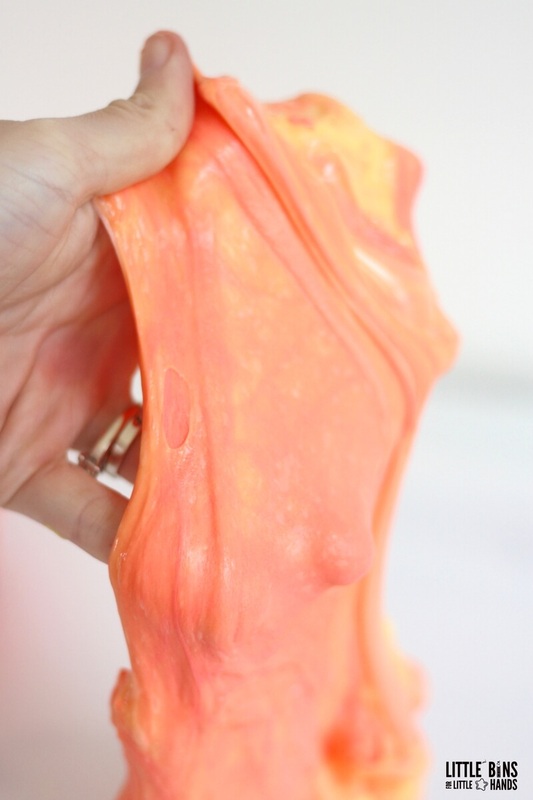 Here’s a few things we have found that are really cool about this slime. First, it stays nice and stretchy longer. Second, it’s a bit moldable. Third, it’s smooth, rich, and silky feeling. Soft clay slime inly requires one extra ingredient and uses any one of our three basic slime recipes. I will tell you which one is my favorite below because we experimented with all three of them to find the best one! 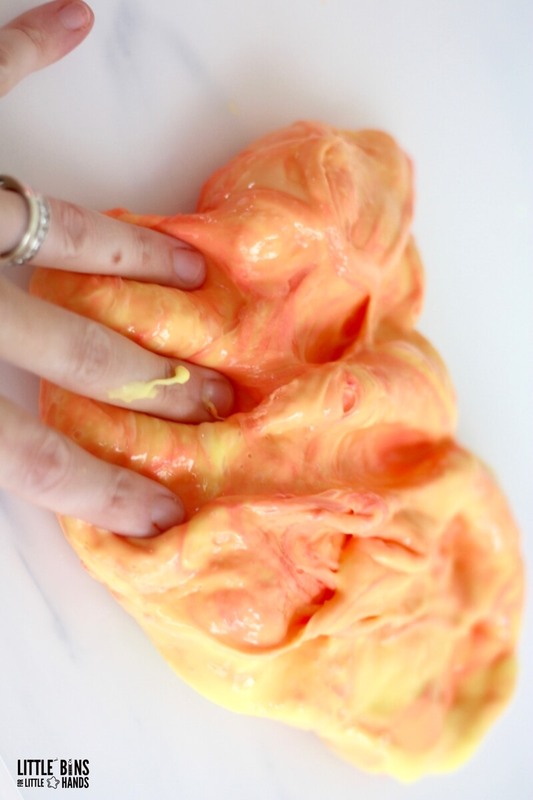 The base for this classic butter slime uses one of our most basic slime recipes which is white glue, water, baking soda, and saline solution. We have the best resources to look through before, during, and after making your Candy Cane slime! Make sure to go back and read the slime science above too! As I mentioned above, you can use any of our basic slime recipes for our Candy Cane slime ideas, but we like our basic saline solution slime recipe with the Elmers white washable school glue. I will link the products we used here with Amazon affiliate links below from which I receive a small commision. 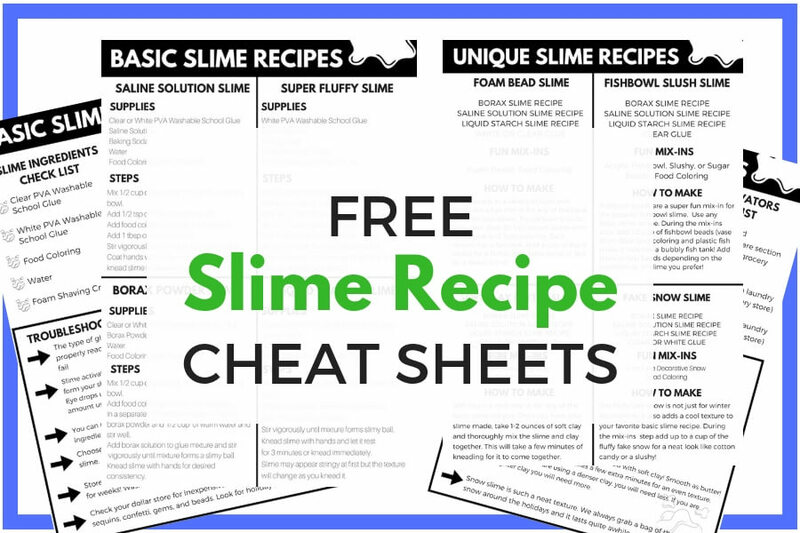 CLICK HERE >>>Look at all our BEST Homemade Slime Recipes and find our fall slime challenge printable. 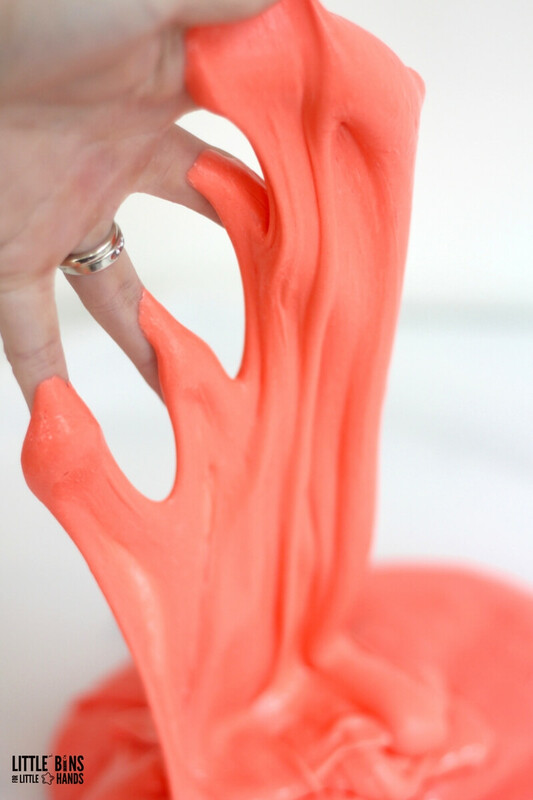 STEP 6: Once your slime is made, you can knead in your soft clay! This will take a few minutes and some good hand strengthening to get it all worked in well. As I mentioned above we think the number one recipe for this is the Saline Solution Recipe but the Borax Powder Recipe is a very close second! Now that you have your basic slime recipe made, it’s time to mix in the clay! There are several types of clay out there to use. We have chosen to use the Crayola Model Magic clay as it’s readily available around us. However we have found another option you can see here, and it comes in a variety of colors. CLAY NOTE: The denser the clay, like this clay, the less you will want to use. A less dense clay will require you to use more. Feel free to experiment with the consistency you like the most. We have experimented with two different amounts of the Crayola Model Magic clay and found that mixing 1/3 of a standard 4 ounce packaged worked nicely. The first time we used 1/2 a package. We ended up with a thicker slime, less stretchy. Get your muscles ready for this one! This will take a few minutes to mix, so don’t get discouraged that it doesn’t happen immediately. In the beginning you might even think that it won’t work, but just keep kneading your slime, and it will come together for you! We chose to start with a yellow base and add a reddish colored clay to it. We have also mixed blue and green and pink and orange! There are so many possibilities including black and white clay! Start by softening up your clay. Next, flatten it out, and put on top of your slime. Start folding and mixing and kneading and squishing. Remember it will come together and make one smooth color like you see in the last few photos. You did it! Your clay slime recipe is now ready to play with. We love making handprints in ours. Soft clay slime is so squishy and relaxing to play with too. Adding clay changes the density and viscosity of the slime as well as the texture. 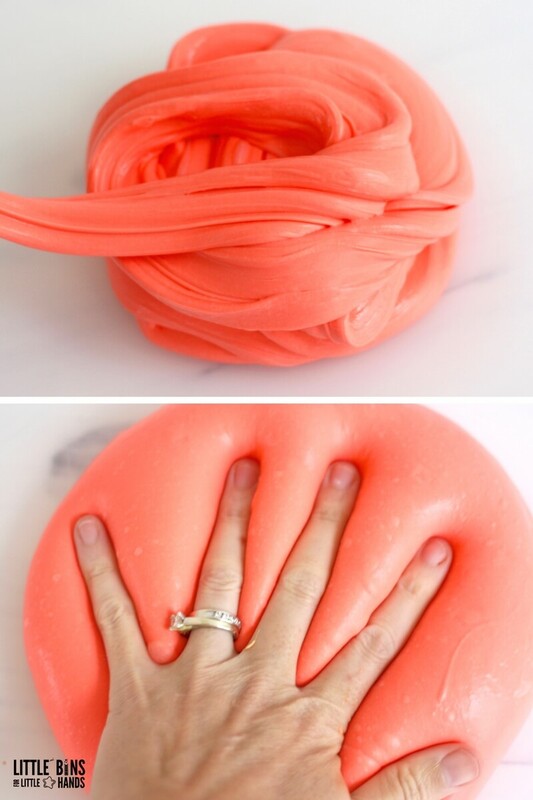 WE HOPE YOU ENJOY MAKING THIS CLAY SLIME RECIPE! Make sure you check out all of our awesome homemade slime recipes as well as great science and STEM for kids. Click on the pictures below to see much more! How do you make the butter slime more stretchy and less tough after it’s made? HELLO! 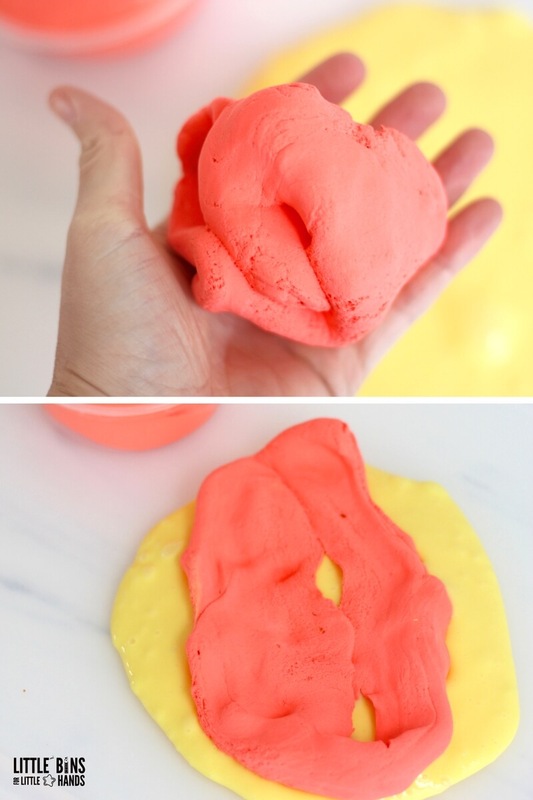 we love the soft clay butter slime recipe! We made it with your basic borax slime recipe (with 1/2 tsp borax:1/2 cup water) and a handful or more of daiso soft clay. It was great to work with but after being in the container for a day or so it gets sticky /moist. Do you have tips of what we can add to it, or better way to store it dont hat it stays fresh ?